Being comfortable is part of getting a good night’s sleep, and a big part of that is your pillow. Hullo Pillow is a buckwheat pillow that allows you to adjust its shape and thickness to perfectly support your head and neck reducing pressure on your muscles, nerves, and discs. 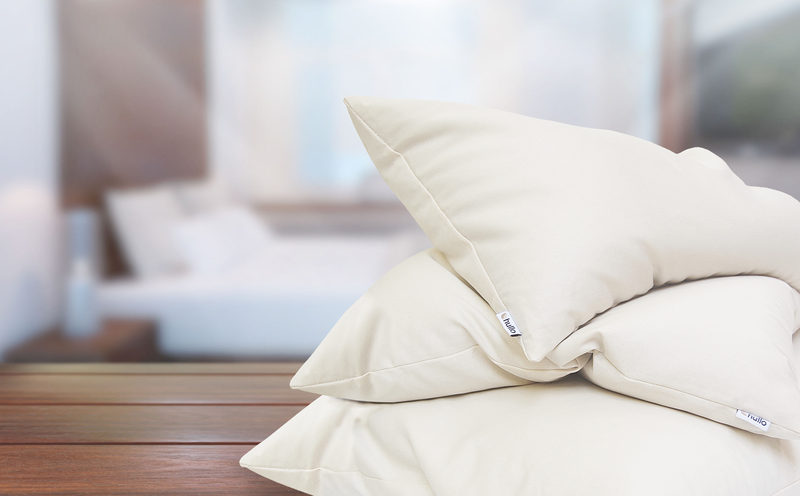 Buckwheat pillows, which have been used for centuries, are popular in Japan, and they’re a staple of fancy hotels that offer ‘pillow menus.’ If you haven’t tried one before, a buckwheat pillow is different from standard foam or down pillows. It’s a little like a bean bag that allows you to adjust the pillow’s shape and thickness to your liking. Feather and foam pillows get hot, humid, and compress into a thin pancake requiring you to fold it in half or use multiple pillows to support your head and neck. That doesn’t happen with Hullo. The buckwheat keeps your pillow cool and shapes itself to the contours of your head and neck to give you the support you need throughout the night. Hullo offers a more natural way to sleep too. Instead of resting your head on a sack of plucked bird feathers or petroleum-based foam, Hullo uses natural buckwheat grown and milled in the United States and a certified organic cotton case. Hullo is so sure you’ll love your new pillow, you can sleep on it for 60 days and if it isn’t for you, send it back for a refund. Also, if you buy more than one pillow, you can save up to $20 per pillow depending on the size you order. Shipping is free, and 1% of all profits are donated to The Nature Conservancy, so your purchase is helping the planet too. You deserve a comfortable night’s sleep. Go to Hullo Pillow’s website now to learn more, read customer reviews, and order a pillow today. Our thanks to Hullo Pillow for sponsoring MacStories this week.